In the nearly 30 years since we started offering our sales assessment test we have evaluated literally millions of applicants for thousands of companies. As you might appreciate our clients are of every size operation and in an incredible array of industries. When I am talking to a new or prospective client and they explain their business to me I am often amazed at the niches that entrepreneurs have identified or the myriad businesses that thrive in seemingly off the radar fields. Of course, we make it our business to learn about our clients so we can do our best to help them with our sales assessment testing. When testing applicants, identifying what traits you need for people to succeed in the role is really the first step prior to actually testing the applicants. Basically you are like a casting director who is defining what you are looking for in the actors you will be auditioning. You must have a vision of the role so that you can see how the people you are evaluating match up to that vision. Some sales roles naturally are a little more difficult than others when it comes to identifying the necessary characteristics of success. One category of sales role that often tends to be a problem in this regard is Telephone Sales. The term Telephone Sales can be interpreted very broadly. It covers both inbound and outbound calls and can be either high or low-ticket sales. As well phone sales people can just as easily be poorly paid telemarketers or highly paid B2B sales people selling high-value products or services. Many Telephone Sales roles are actually customer service roles that are sales positions in name only. 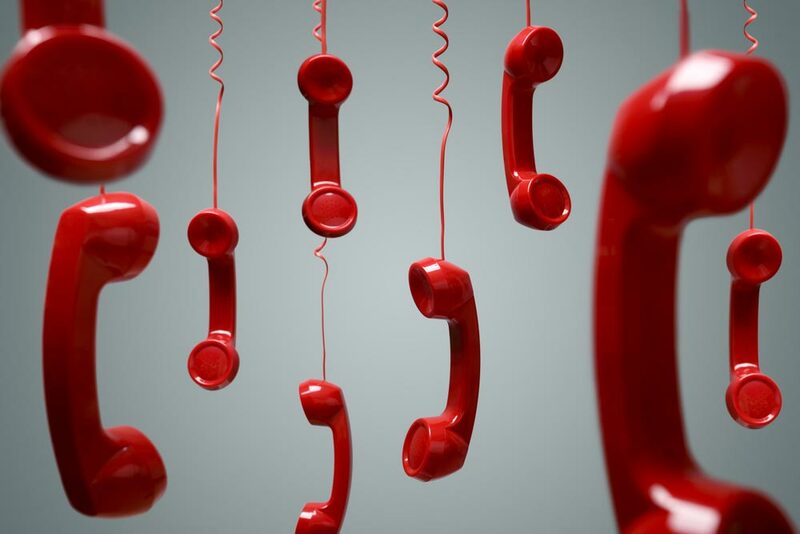 There is an almost endless list of examples of different "types" of telephone sales. The only common denominator would seem to be that the work is done by phone. For purposes of this article what I am referring to is what I will call Professional Telephone Sales. In my definition I mean a role that requires a "Hunter-Closer" style of person. These roles are often incentive based. They may require the person to "hunt" for sales or even just to obtain an appointment or opportunity to do a presentation. Quite often leads are generated for the sales person that he or she is expected to close. A strong sense of urgency and results orientation would be required. Why is it that trying to hire people for these roles poses special challenges? What are those challenges? What if anything can be done to address them? Why is it that the job turnover rate is so high in these roles and is high turnover something you can fix? Why is it that trying too hard to lower job turnover could be absolutely disastrous? I will do my best to answer these questions. The real heart of the problem is that in order to get the right person for these roles you have to "put a square peg in a round hole". That is very different from what you would do when hiring for just about any other position. Normally when you are hiring you need to know what "personality traits" the job requires and hire people who have those traits. In essence you are trying to fit a "square peg to a square hole". As we shall see you can't really do that with Telephone Sales because there are clear contradictions between what the job dictates and what traits the person needs to ensure success. To understand specifically what I mean let's have a very brief look at a telephone sales role. The job requires that the person perform the job in one place such as an office or telephone room. Supervision is physically close at hand and/or is closely monitored by procedures or technology. The job requires the person to follow a tight "script" and/or clearly outlined systems. The job is very repetitive and routine; although calling different people one is repeatedly calling and repeatedly doing the same thing in a routine manner. If we were trying to match someone to the role I just described what type of person would seem to be a good fit? Logically you would want a person that likes the familiarity of working in one location and following a set "pitch". Comfort with routine would be important, as would a need for close supervision by the boss along with ample structure and established methods to provide direction and clarity. Furthermore this individual would need to be a non-assertive person who seeks direction and would be an eager to please rule follower. He/she would be passive, reactive and would lack a sense of urgency. He/she would to a great degree be motivated by a fear of failure and would feel uncomfortable with the risk associated with a largely incentive based compensation system. Do you see the challenge here? We need the person to hunt and close, to have a sense of urgency and to respond well to incentives. Hunter-closers have a very high level of assertiveness and a large ego enabling them to absorb rejection and to be somewhat "pushy", albeit in the right manner. They have a strong distaste for rules, guidelines procedures and details and therefore do not take direction well. They can be highly de-motivated by anything they perceive as close supervision and as a result will be quite hard to manage. Hunter-closers are very impatient (this is where they get their sense of urgency); they have incredible nervous energy which means that their work must be fast paced with lots of variety and action (too many things to do and not enough time to do them). Routine is anathema to people of this type. Being very risk oriented and quite fearless they are unafraid of the risk of changing jobs with the result that they are higher turnover risks. Your dilemma is whether to change the job or try to manage the inevitable issues. Significantly changing the job is rarely realistic due to certain unfortunate unintended consequences associated with this approach. An example of this would be an overly zealous effort to control job turnover. Turnover can be reduced to virtually zero but you will end up with a group of passive, non-assertive, very detail oriented order takers. In other words they will stay in the job forever but they are not the hunter-closers you actually need in the job. Accept that turnover will always be "relatively high" and do what you can to control or mitigate it. For example incentivize staying in the role by means of residual income or a healthy bonus. Let the person work as independently as is reasonably possible. This applies to managing the person literally or by means of systems and procedures. Any management that is necessary should be explained to the person in a manner that appeals to his/her bottom-line such as more money, authority or responsibility. Remember these types of personalities are motivated by what is in it for them-push those buttons. The same applies to the details in the work. Keep details to a minimum or have a "detail assistant" to whom the person may delegate. As above, explain how the details will impact the person's "bottom-line". Bearing in mind that these folks are very impatient it helps if they have some "early success" to keep them going. Due to their nervous energy their "sit-ability" is very poor and they often feel "cooped up". Create an environment where they can get up and walk around to burn off some of this nervous energy or just to change the scenery somewhat. Appointments outside of the office often help. Finally, if it is at all possible make the role a stepping-stone to outside sales. It can help if they perceive that the de-motivational aspects of the role are "short term or temporary".